Already we are on our 24th (!) 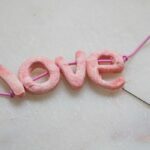 Valentine’s Day Craft of the 31 Days of Love series.. a series dedicated to bringing you new blogs to discover and love. 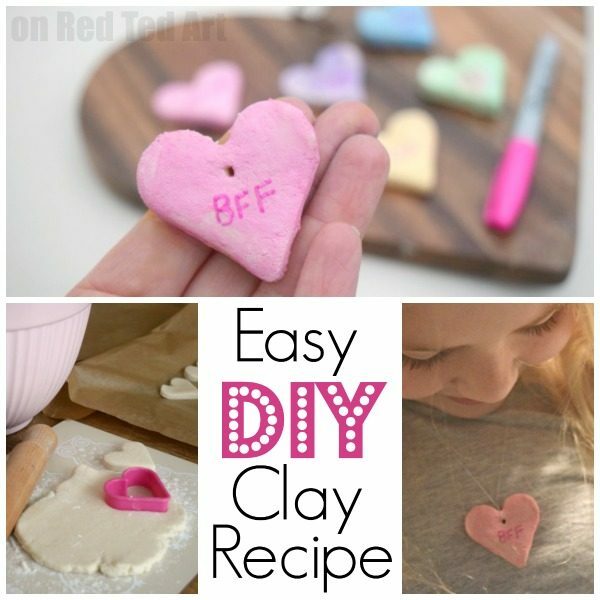 Today, we have Rebecca from Here Come the Girls and their gorgeous DIY Conversation Heart necklaces the perfect Conversation Heart Craft for kids.. made from one of our favourite inexpensive craft materials and recipe – our Salt Dough Recipe. 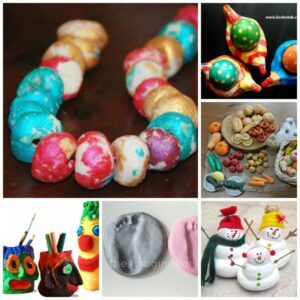 Salt dough is one of my favourite materials to using for crafting with children. 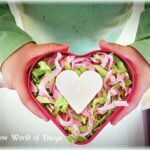 It is so cheap and easy to make using only a couple of ingredients you will already have in your kitchen. If you make a mistake it really doesn’t matter. 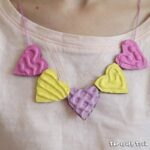 It is the perfect thing to make these sweet little necklaces shaped like conversation hearts. 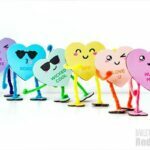 This would be a lovely craft for a party as you can personalise them with your favourite pretty colour and fun slogan. You do need to give yourself a bit of time to make these as it does take a three hours to dry the salt dough in the oven. 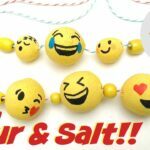 To mix the salt dough you need two parts four to one part salt and one part water. Add the water gradually as sometimes you need a little more and sometimes a little less. Mix the dough into a firm ball. 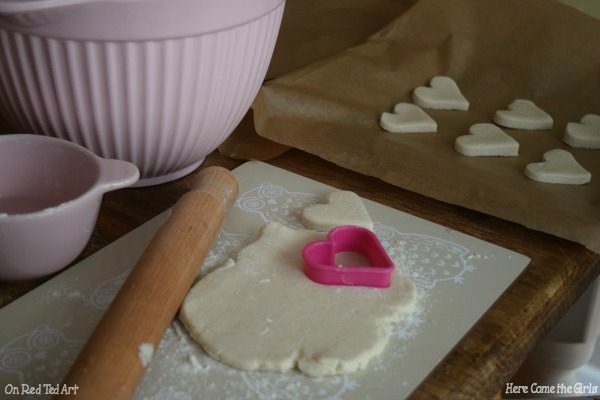 Roll the dough out and cut as many hearts as you want using the cookie cutter. 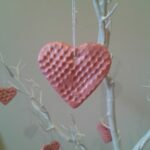 Put a small hole inthe top of the heart. Bake in a very low oven for three hours until it has gone hard. 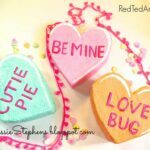 Once the hearts have cooled, paint with acrylic paint. This looks best in pastel colours to match the conversation colours. Once dried, add your slogans with a bright pink sharpie. 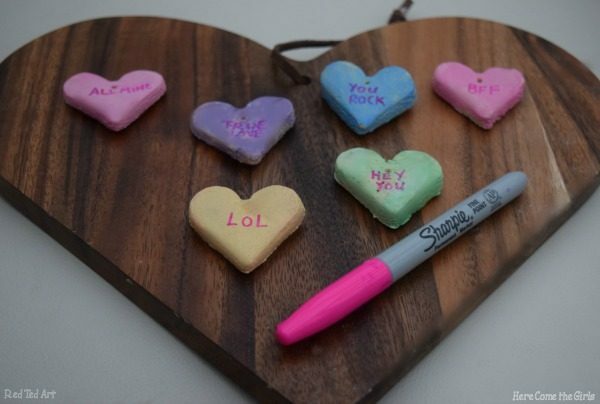 You can use your conversation hearts for all sorts of things. 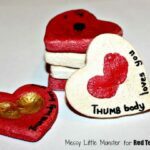 They would make a cute key ring or stick a few different ones to the front of a Valentine’s card. 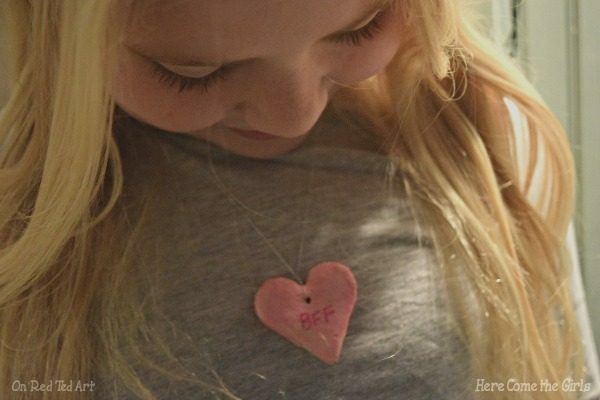 We threaded the heart onto a thin silver chain to wear as a necklace. 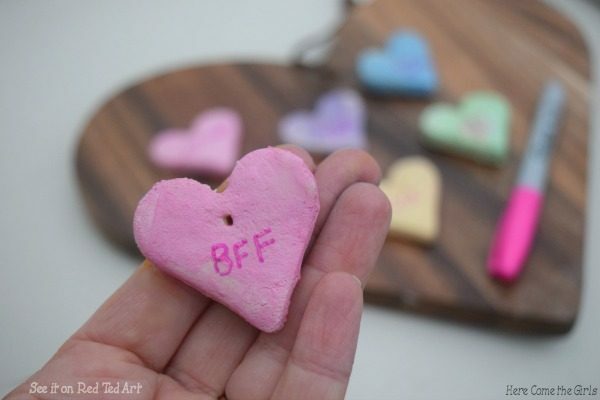 This is a sweet gift to make for your friends. 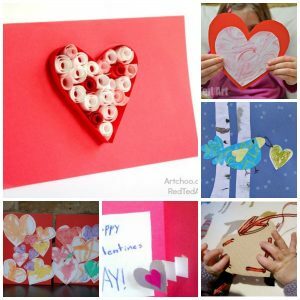 So once the kids have made some DIY Conversation Heart Necklaces for their friends, get them to make some of these super lovely Valentine Cards for Kids too!